Setting up a new wireless router for Spectranet or any other FTTH (Fiber to the home) broadband connection is very easy. You just need a mobile phone or a PC and the credentials provided by the service provider. First you need to get the default SSID and password of your wireless router. I am using TP-Link TL-WR841N 300Mbps Wireless-N Router as a reference. You can find the default wifi credentials on the back side of the router. Connect your mobile or PC with the wifi, using the SSID and password. If you are using PC, you can directly connect the router with the PC using the Ethernet cable, you can skip the wifi setup steps. Now access http://192.168.1.1 or http://192.168.0.1 or http://tplinkwifi.net via browser and enter the default admin credentials which is "admin"/"admin" for TPLink routers. Please refer your router manual for the exact steps for that model. Use the admin screen to change the default SSID name and wifi password. Now connect the FTTH broadband cable to the WAN port of your router. Wait for few seconds until the WAN/internet indicator comes up. 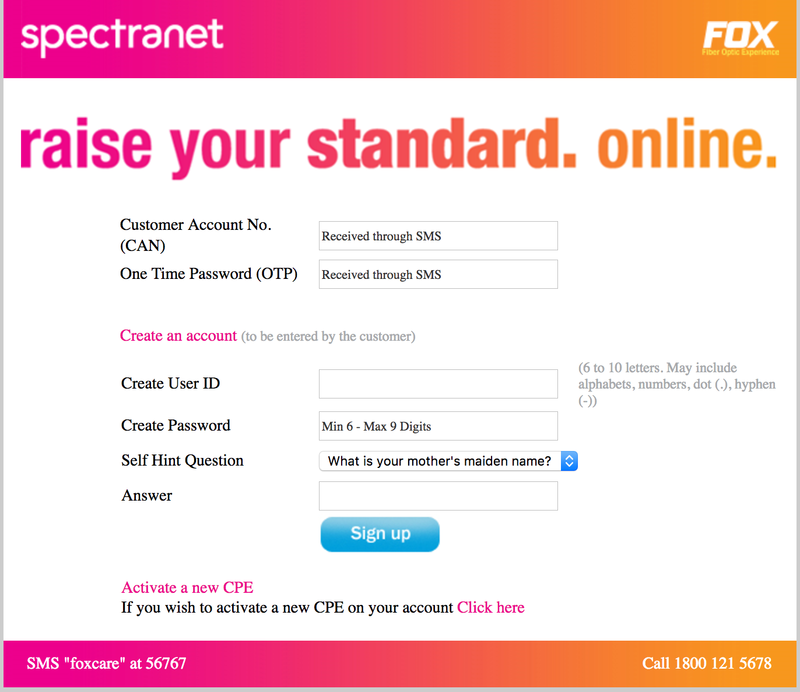 Access any website say google.com, you will be redirected t Spectranet FTTH setup page as shown in the below screenshot. If you are a new customer and setting up router for the first time, fill the form, your customer account number and the OTP. 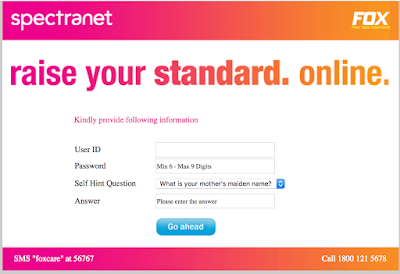 Then provide a user Id, password, select a security question and enter the answer. Click on Signup, in few minutes your router will be activated and you will be connected to internet. 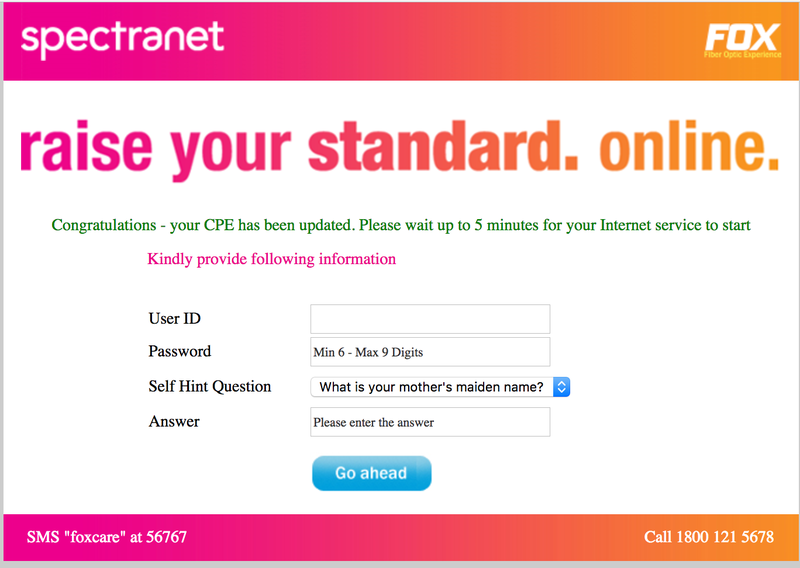 If you are an existing customer, click on the "Activate a new CPE" link. 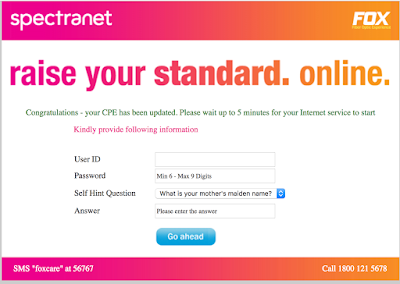 CPE stands for Customer Premises Equipment, in this context its your router. Enter your user Id, password and security answer which you already have. 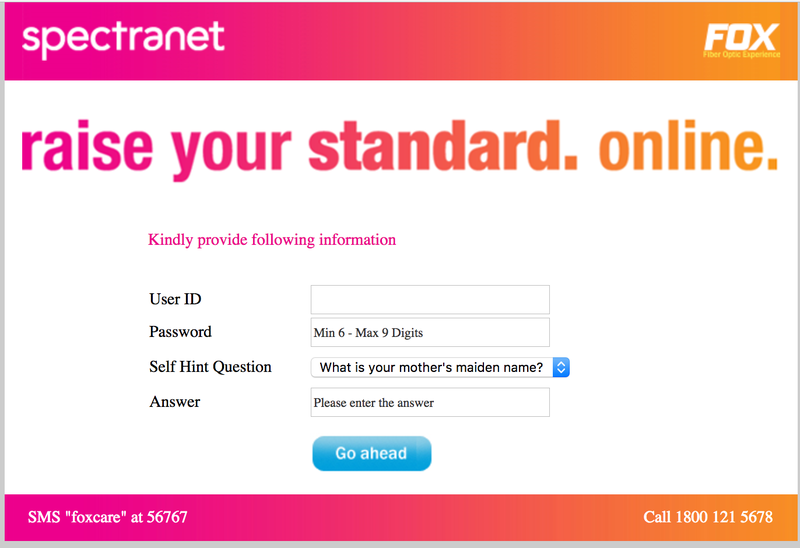 Click on "Go Ahead" and your new router will be activated in few minutes. Message after successful activation of the router. 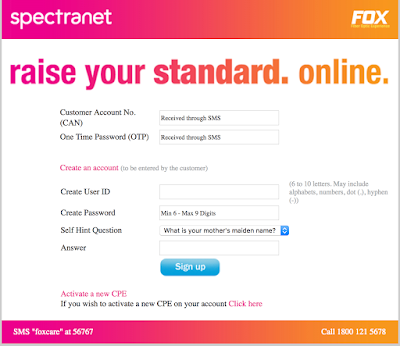 If you do not have the credentials or even after providing the details internet is not activated, contact Spectranet customer care on 1800 121 5678 or email them at care@spectranet.in. You can use the above procedure to setup router for any FTTH provider, the steps may differ slightly. Make sure to provide a strong password for your wifi which will protect you from misuse of your internet connection. That's it for today, don't forget to leave a comment below!